The overhead line is a project for the benefit of the people. It not only can effectively eliminate visual pollution, but also the purity of urban road space. 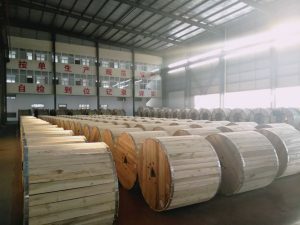 It can further improve the reliability of urban power grids and weak electricity networks, and can also be used in extreme weather such as wind and lightning. Some accidents such as collisions and defects will be avoided. If we can select the location of the power station, plan the layout before the establishment, and effectively integrate it during construction, it can be further optimized after construction, so that it can better integrate into the surrounding environment of the road, which is worthy of our consideration. our factory have good strong business relationship with Philippine customer, customer are very satisfied with our products quality and service.